Our Lamination Adhesive is a versatile product for Lamination Industry, Flexible Packaging, and Paper Products Industries. 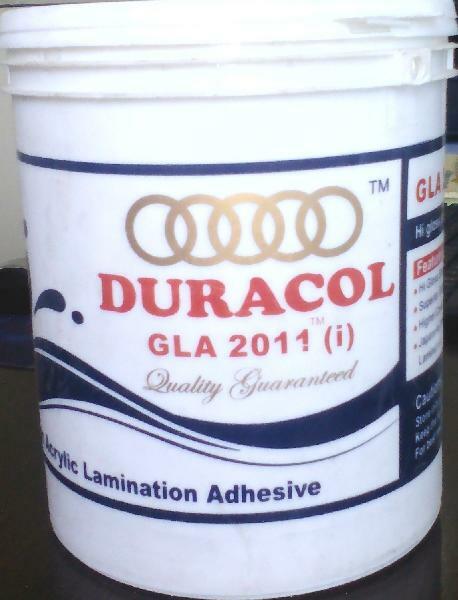 We offer an exclusive range of Printing and Packaging Lamination Adhesives to our clients. These adhesives have greater transparency, inertness to environmental factors, better shear resistance and provide smooth appearance. Furthermore, our range is extensively used for faultless lamination of varied surfaces and acknowledged for the quality.